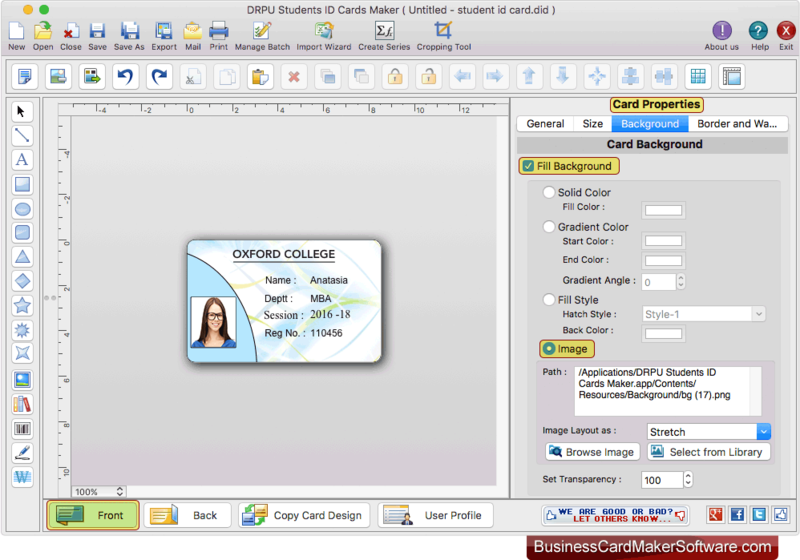 Mac Student ID Cards Maker Software creates ID cards using excel file of students information. Program provides inbuilt email settings to send designed student ID cards at specified email addresses. 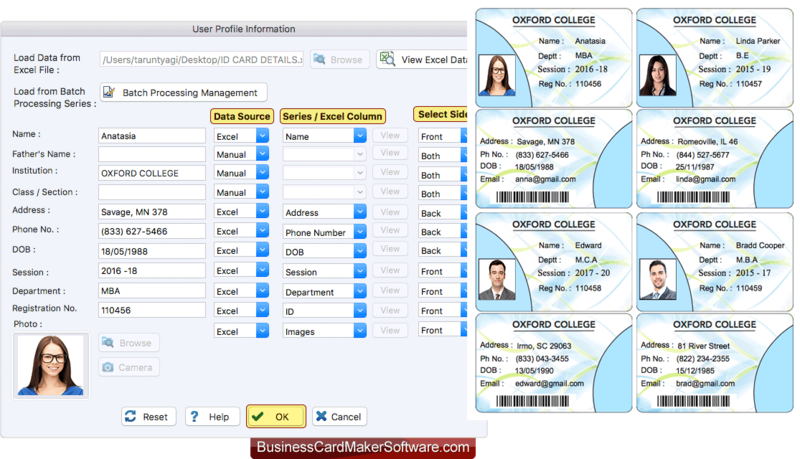 Software provides two modules to create student ID cards. Select any one module according to your requirement. Choose any one pre-loaded ID card design sample and click on Fill User Profile button. To add ID card details, import excel file of student information and you can also create batch processing series. Select Data Source, Series/Excel Column, Select Sides and click OK button. Here you can see your designed ID card. 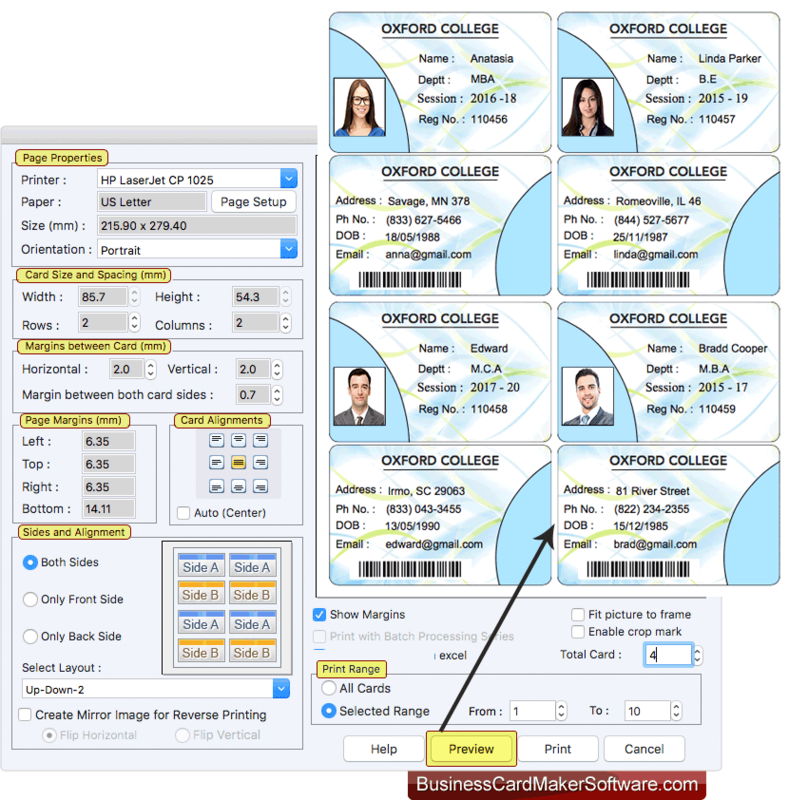 Now you can do further editing in your created ID card using various card designing objects such as line, rectangle, rounded rectangle, text, ellipse, star, barcode, watermark, images, signature etc. To print your designed ID cards, fill various print properties and click on Print button. You can also see the preview of designed ID cards by clicking on 'Preview' button.